You can choose any restrictions when signing up and can change your selection anytime. To change your allergies & restrictions (or view our available allergies & restrictions) open up the app and navigate to Settings. 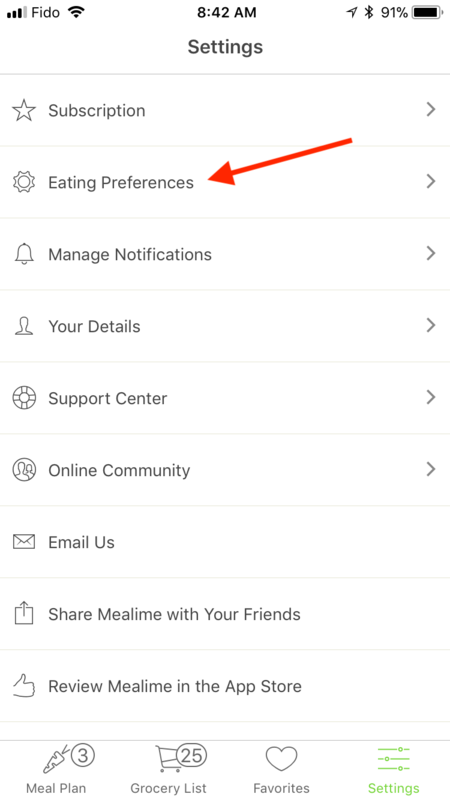 Then tap Your eating preferences. 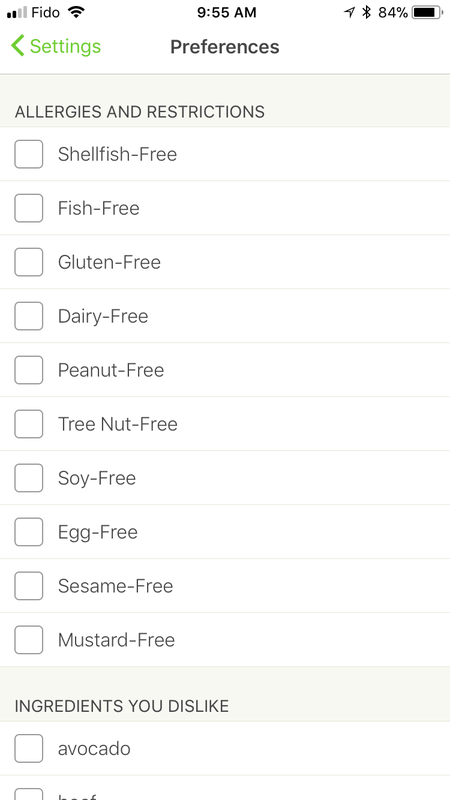 Next, select any of the available options under heading Allergies & Restrictions. Lastly, the changes won't take effect until you create a new meal plan. 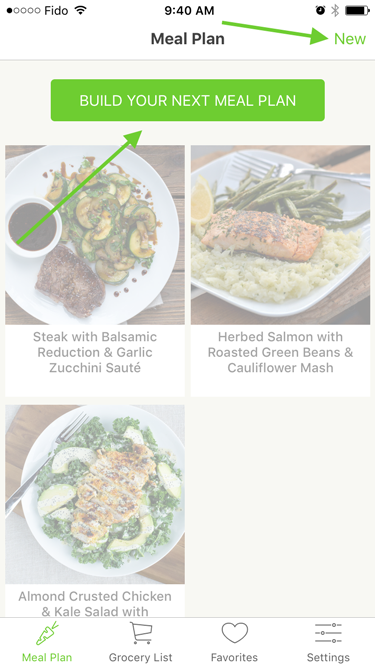 When you're done cooking your current meal plan, tap New or the Build Your Next Meal Plan buttons on the Meal Plan screen to build yourself a newly updated meal plan with your new eating preferences!